Nolan riders smashed it in this starting round of WSBK with two riders finishing on the podium, Chaz barely in 2nd behind Rea and Melandri’s return delivering 3rd position! Beyond the podium we had Xavi Fores in 5th, Camier in 8th with Savadori just behind him in 9th. 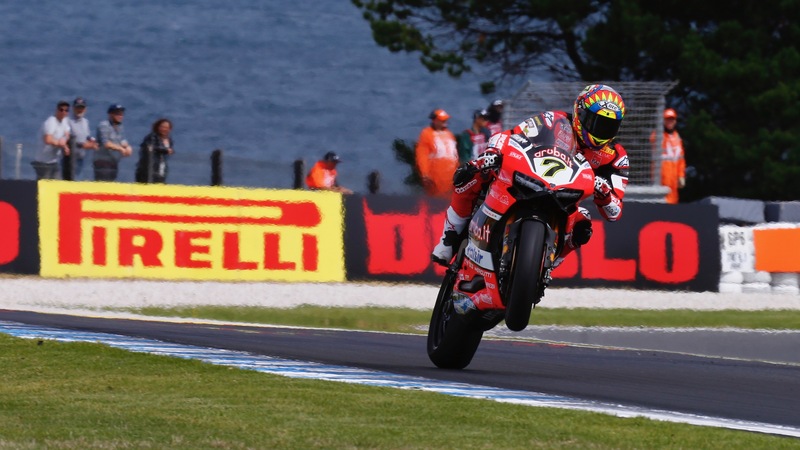 The two main men of the weekend Chaz Davies and Marco Melandri had extremely contrasting races across the 3 days, with Chaz tearing it up on the Friday, posting the quickest time of the bunch at 1’30.189. Meanwhile Melandri put up a time of 1’30.627 to put him in a respectable 5th , Saturday was not so successful for him though as he was unfortunately unable to finish the race. Chaz had a far more successful Saturday though, finishing 1st in this race but in the race that mattered, both guys raced well and got the result and kept Rea in sight. All eyes toward the Motul Thai round this weekend now, with the foundations having been laid in Australia we’re looking forward to a successful season!